A sign at the flea market read "Creative Minds are Seldom Tidy." Do you ever feel this way? Do you ever wish you had a program that would help you organize your thoughts, your to-do's, your contacts, contracts, invoices even bank information? As a creative, often we get so caught up in our work that we forget to run our business like a business. Fortunately a new program recently launched that will help you get everything organized and automated in your business making more time for you to actually do the things you love. Chances are you've probably heard the buzz about 17hats already. Over the last couple weeks word has been spreading rapidly about the lastest online studio management program for photographers. Invites into the program have been in high demand and people have been clamoring to get their hands on one. Fortunately I was able to get in about a week ago and give it a run and my initial impressions are all very good. For the last couple years I've been searching for the right business management program and have tried a number of them. Each time I've been frustrated by the set up process and complicated interfaces. That changed when I opened 17hats for the first time. The program is designed to be easy to use. In fact, the team behind the program currently has 6 people working on it and one's role is entirely about the user experience. His job is essentially to make sure the developers don't make the program overly complicated and difficult to use. You'll notice from the first time that you login to 17hats that everything is laid out in a manner that makes it easy to find. The first screen you are presented with is the "Dashboard" where you can see your calendar (which was very simple to sync), your pending to-do's, client activity and more. It's a perfect summary for the day ahead. Once I was in the program I quickly realized that 17hats does 'a ton' all in one beautifully designed program. This means I no longer have to login to one program to track leads, another to send contracts, another to create invoices, check my calendar or collect payments. It is all right there for me inside 17hats just a click away. The interface is easy to understand and runs fast on my laptop. One of my favorite features that is built right into 17hats is the "Bookkeeping" section. Within minutes I was able to set it up to pull information direct from my bank accounts and get it organized all within the program. Now some of you might be a little skiddish of linking your bank accounts. But don't worry you are not providing the developers with your information. Instead they found a genius way of partnering with a company that has partnerships with over thousands of different banks to provide this information when requested. For example think about when you link your banks to a software to do your taxes or for programs like Mint. Same idea here but instead of having to log-in to yet another program to view that info you can see it all directly inside 17hats. In addition you can run a number of different reports including Profit and Loss Statements as well as Sales Tax reports. Your accountant will love you, or you might just love yourself for making the choice to get your bookkeeping in order. I could go on about all the features 17hats has to offer but you really ought to check it out for yourself by visiting their website. (Note: continue till the end of this article to find a special link for Fstopper readers.) What I found different about the program versus other online studio management programs was its ease of use. Within minutes I was setting up contacts, assigning projects to them and creating my templates for quotes, contracts and invoices. In addition, the team has amazing customer service. Their goal right now is to answer all questions sent to them within an hour and so far they've done a heck of a job doing it. Each time I've asked a question using their contact form built into the program I've received a response within 20 minutes. Their team is online and ready to help between the hours of 7am to 7pm PST. As someone that likes to learn on his own I was a little surprised that I didn't find manuals or videos to walk me through all aspects of the program (though quite honestly it was easy to figure out on my own) but I do understand those visual help aids are on their way and should be up soon. Couple other features I learned they are working on and will be added shortly include the abilty to integrate a lead form directly into your website or Facebook page. This way you don't have to enter contact info for a new lead as it will do it automatically for you. 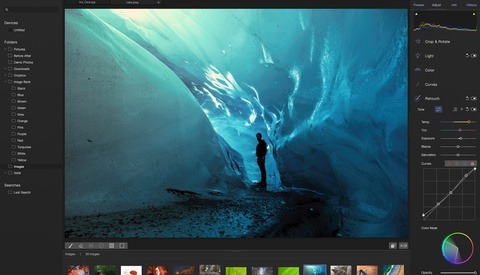 Also probably most exciting to me is a new workflow system will be coming as well. This will help you automate your business and keep a workflow system in place for each client. So as a wedding photographer I can assign my own custom wedding workflow to a new client and it will help me manage that relationship by sending out emails, questionairres, invoices or payment reminders as I want it to. I will also set it up to remind me to order wedding albums, send out coupons for prints, follow-up with clients on their 1-year anniversary and more. The possibilities are numerous for photographers of all types. 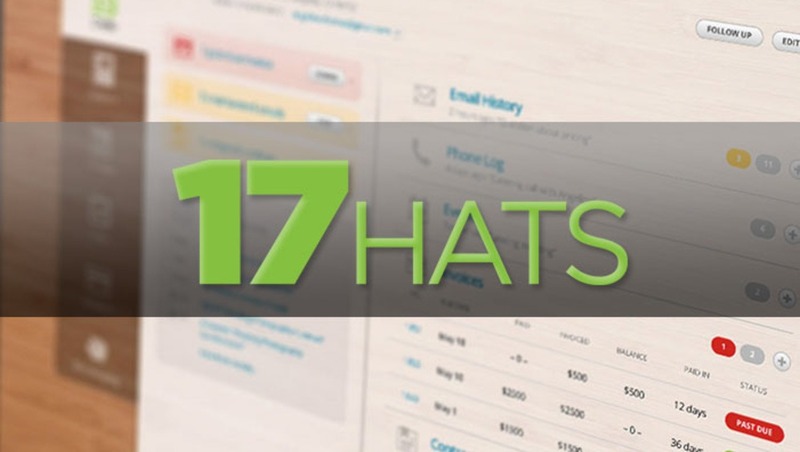 Watch their quick 2-minute video to get an overview on how 17hats works. Before sharing about 17hats on Fstoppers I wanted to get a feel for the team and it's lead developer so I asked if they would be up for a call or video chat. After 45 minutes of conversation I was even more stoked about the future of 17hats. This isn't their first rodeo as the lead developer has another software that's been out for over 10 years serving our industry. The team of six are experienced and excited about the future of the company. In addition the lead developer's wife is a photographer that runs her own business so he has his connection to the industry and understands our needs. They were also very much open to ideas and suggestions from the program's users which is always good to see. Well if you have stuck with me this far it's about to get even better. Over the last several weeks to get an invite into 17hats you had to know someone already using the program. Invites were in hot demand. During my conversation with the developer I asked him if he would be willing to set up something for all of you that would be interested in getting in. So he set up a hidden page that will allow you to get in without having to track down an invite. Click here to get your VIP access into 17hats. It will give you a 15-day free trial so you can give it a run for yourself. In addition, they also set it up so that any of you that sign up before October 31st for the annual plan will only pay $13/mon (billed annually at $149) and they promised they'll never raise that price on you. So once your year is up you can be confident knowing the price will stay the same from year to year. But remember that in order to get this deal you need to pay before October 31, 2014. So for the cost of two lunches you are getting a program that is going to help your run your business much more effectively and free up more of your time! I'd say that's one hell of a deal. After October 31st the annual plan is $19/mon, semi-annual is $25/mon or monthly plan is $29/mon. In conclusion, I've been very impressed with the ease and functionality of the program. I love having all my apps simplified in an all-in-one service saving me time and money. Also really enjoyed the Bookkeeping module to keep my finances organized. I'm looking forward to seeing them add the new features they are working on (namely the workflows) and the visual help guides or videos. But the program already consists of a ton of great features that are helping me in my business and I can't wait to see how it continues to get even better. Frankly I can't believe I'm paying less than $13/mon to be able to use it. It seems like a pretty solid system. I'll be taking advantage of this promotion for sure! Michael I have been enjoying it as well. Their customer service is top notch as well. Looking forward to their future updates as the program matures as well. Only bound to get even better. Patrick I have only used Freshbooks in limited capacity. One company requires I use it to invoice them so I have used it for that. So I wish I could say I am more familiar with it. But I do think the invoicing and bookkeeping with 17hats is fantastic. I have a couple programs I look forward to shutting down and saving a few dollars once I get everything transferred over. As someone who spent 10 years in accounting, I would highly advise using any uncommon software to take care of your entire bookkeeping needs. Your accountant will not have a copy of this and the auditors can't be furnished a copy of your company file. So all of your data will have to be manually entered into an actual bookkeeping or accounting program to the tune of $120/hr. It takes me roughly an hour to enter and reconcile each month for a normal small business so that's $1440 a year just to translate data into something I can use. No, no, and absolutely not. These programs are great for invoicing projects, but books need to be kept in Quickbooks... or Sage if you're stuck in 1995. Also, I'm sure someone will comment that this program will work with Quickbooks. I've worked with dozens of programs just like this that are industry specific and supposedly feed into Quickbooks, Sage, and Great Plains, and not a single one did it properly. I spent hours correcting mistakes. well said jen . . . I also wonder how long they will be in business? Imagine if they go belly up and you've invested your time, talent and money into their system and they find that financially they cant afford to keep up with the times . . . Then what? Do you go down with the ship? It all sound great to me, I like the energy and enthusiasm, and i even got my invite a couple weeks ago but I'm not sure sure migrating my business over to a new system with no track record is the way to go? Anyone? 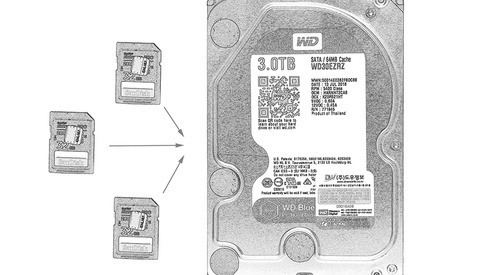 Anyone knows, does this work for UK photographers as well? Would definitely need different currencies (preferrably GBP and EUR), and calendars starting on Monday. They just added support for more currencies this week. Per a facebook post: "Currency support has been added for GBP, EUR, AUD, NZD, NOK, SEK, CHF (in addition to USD and CAD, which we already support)." Almost perfect, except they forgot about commercial photographers. We need fields for usage licensing and job description (scope of work) on the estimates/invoices. I also don't see any way to change the invoice numbers. Overall, a solid app with LOTS of potential. Curious to see how fast they get features implemented. I wonder if you could use their contracting features to create a template for licensing? If it doesn't need to be signed, maybe not. They do have a new feature that allows you to attached outside documents to a project. While that's maybe not the best solution, it could help until they add a feature that would be more helpful to you. Irja, they just added the ability to attached outside docs. Unfortunately, I still believe that the usage license needs to be embedded into the actual invoice. I don't want any chance those get separated. Hi Tony, Thanks for pointing that out. Do you currently use another management software? In my research I am finding many referring to wedding and family photographers, not so much commercial photographers. 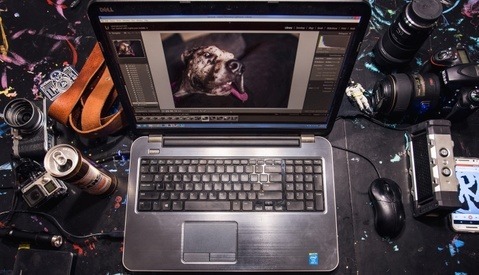 Blinkbid is what I use for commercial photography, but it's not like this. +1 If someone built something like this for commercial shooters it would be fantastic. will they be doing it in Portuguese? Trevor, thank you for looking into this. I would love to see a compare and contrast against the two 800lb gorillas - Tave and ShootQ. We have a tremendous amount of invested time, data, and workflow in Tave. How is this different than StudioCloud which is a free? This looks great. I wonder if they have a mobile app in the works? Check this studio management software out. my advice stay away from online only products. if the company goes out of business so do you, makes me wonder why Fstoppers is pushing this or you pushing shootzilla when they (both 17 and shootzilla) are like this. Today's climate of business vanishing in a few years make me take a wiser approach to protecting my business data. I purchased 17hats about 3 month ago and your article was one big "yes" to make that purchase. (not that Im saying you are responsible but I feel obligated to let others know and not to make the same mistake as I did) I synced my bank accounts, all went ok for the first month and then stopped showing my transactions. I refresh the account and it says it's been refreshed, but not really, non of my transactions appear. Have been in contact with their costumer support, all I hear is "we have no update and have been working on it". two month later and still no update. Enjoyed the review Trevor. Thanks for sharing. Was wondering how this compares to studiocloud or sproutstudio, both seem like solid systems too. Online systems I won't go with. Why you say? so your net goes down or you dont have access to the internet. Then what? unless this has a client that installs on your system that you can do everything it shows offline as well as online = pointless. I've been using 17hats since January 1st and I am currently looking for another solution because I HATE it. It really could be awesome, but whoever designed how this system works needs to seriously reevaluate. I can't go to one place to see all the emails my clients have sent me, I have to go in and actually click on each project to look at the email tab. There is no way to make custom payment plans, you have to choose from their predetermined options. The app is USELESS. Setting it up and making it work for my business was so frustrating because of the convoluted way it is developed. I feel like it could be such an awesome program, but it needs to be torn down and started over. They're very open about the fact they're still developing and adding features, but adding features doesn't help when the WAY the features it already has work don't make any sense. Sure if you just want to build some basic checklist workflows to keep yourself on track it would be just fine, but I was trying to use this program to the extent of it's supposed abilities and have been so disappointed. It's 2017. Does anyone have any followup on this software, in terms of 'long term use' impressions?